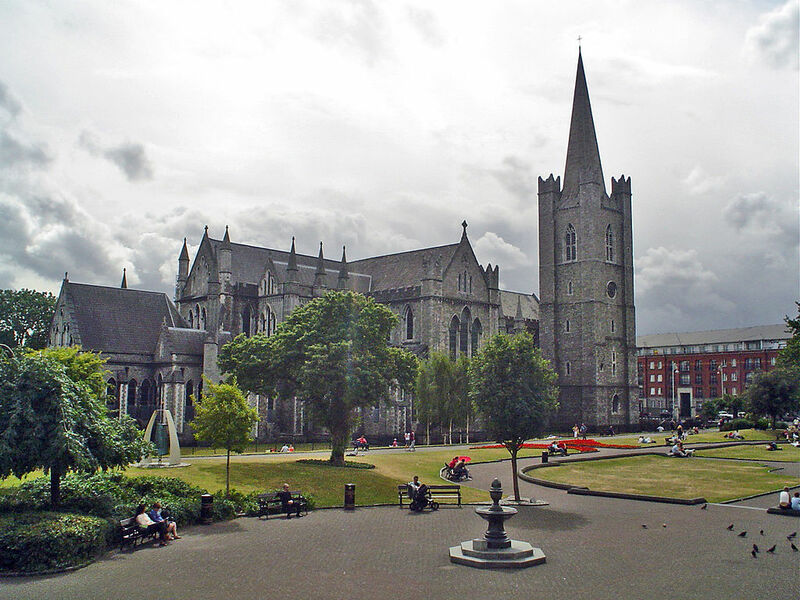 The area around Dublin Castle was first settled in prehistoric times, and it was from here that the city grew. Dublin gets its name from the dark pool (Dubh Linn) which formed at the confluence of the Liffey and the Poddle, a river which originally ran through the site of Dublin Castle. It is now channelled underground. Archaeological excavations behind Wood Quay, on the banks of the River Liffey, revealed that the Vikings had a settlement here as early as AD 841. Following Strongbow’s invasion of 1170, a medieval city began to emerge; the Anglo-Normans built strong defensive walls around the castle. A small reconstructed section of these old city walls can be seen at St Audoen’s Church. More conspicuous reminders of the Anglo-Normans appear in the medieval Christ Church Cathedral and St Patrick’s Cathedral. When the city expanded during the Georgian era, the narrow-cobbled streets of Temple Bar became a quarter inhabited by skilled craftsman and merchants. Today this area is considered to be the trendiest part of town, and is home to a variety of alternative shops and cafes. The Powerscourt Townhouse is an elegant 18th century mansion that has been converted into one of the city’s best shopping centres. South Dublin is full of hidden gems, contact us now to book your Ireland tour.